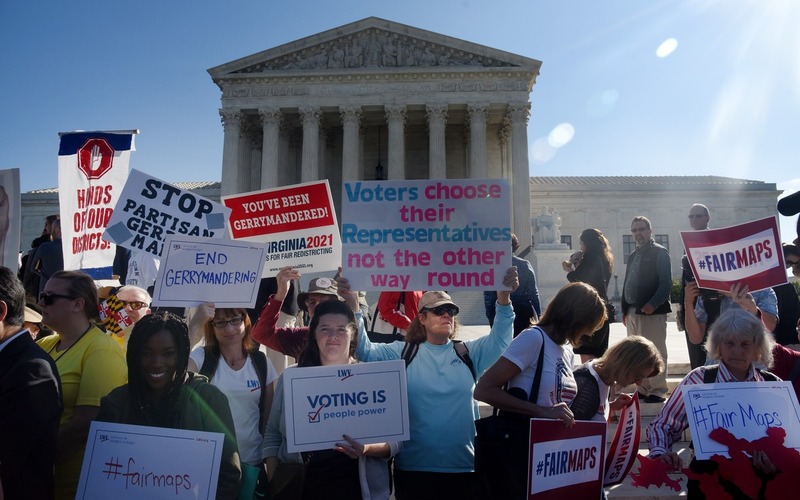 Supreme Court To Determine Whether Partisan Redistricting Is Constitutional A pivotal retirement and a new conservative majority could give the state legislatures a green light for even more partisanship when it comes to drawing political boundaries. As Republican David Lewis, chairman of the state House committee on redistricting, put it: "I propose we draw the maps to give an advantage to 10 Republicans and 3 Democrats, because I do not believe it's possible to draw a map with 11 Republicans and 2 Democrats." By comparing the North Carolina redistricting map with tens of thousands of maps generated by computers using neutral principles, he said, you can identify the extreme outliers.